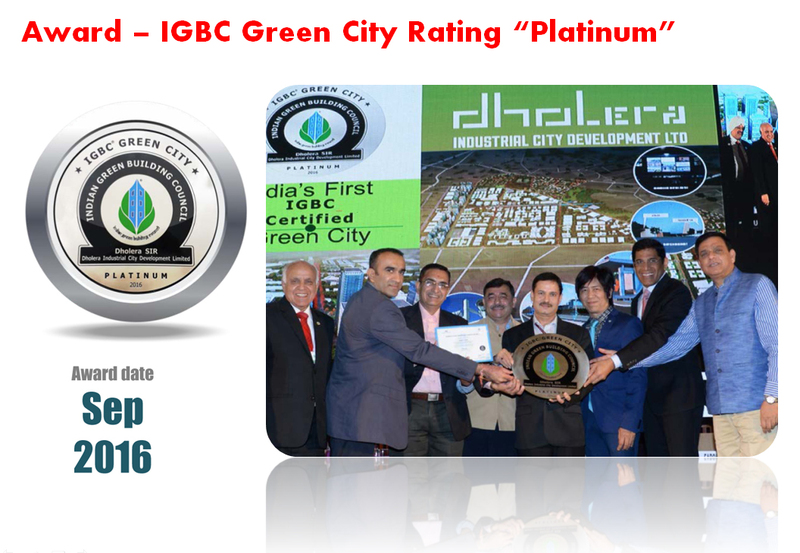 The first and only upcoming smart city of India that has been conferred with the prestigious IGBC's Highest 'Platinum' Award, Dholera Special Investment Region (SIR) in Gujarat is well-planned to be a spectacular 'Green City' and will factor in all components required to develop a live-green environment with minimum carbon footprints. One of the rare cities in the world and certainly the first in the country to have achieved the IGBC green city rating, Dholera aspires to be developed as a smart city that is sustainably committed to the well-being of mother earth, its environment and people dwelling on it. Dholera SIR, which is one amongst the eight and the biggest node on Delhi-Mumbai Industrial Corridor (DMIC), and spread over 920 square kilometres of which 540 sq. km area is developable, will include initiatives like green buildings, 100% waste management and water treatment plants, land use planning, sustainable eco-transport and mobility, renewable energy generation and use and much more to create a net zero impact on the environment. The city has got a nod for establishment of a 5000 MW solar power park on 11,000 hectares of land, which shall be set up as India's largest solar park with an unfathomable capacity for generation of renewable energy. The park shall be built in several phases and many big corporations such as The Gujarat Power Corporation (GPCL), Gujarat Urja Vikas Nigam (GUVNL), Gujarat Electric Transmission Corporation (GETCO), and Solar Energy Corporation of India (SECI) are working towards making this possible. Overall, the project is expected to attract investments to the tune of 250 billion rupees and give sustainable employment opportunities to over 20,000 citizens. Akhilesh Sharma, CEO and MD, DMIDC commented "We want Dholera to be the role model and set new standards for sustainable city living, not just for India, but for the world. Data is crucial to the vision because we are creating intelligent infrastructure that learns and adapts to people's needs. We are very lucky to be building this city from the ground up because it means we can embed future proofing to accommodate the exciting progress yet to come. This will be a 4 A's city â€” accessible, adaptable, affordable and aspirational." 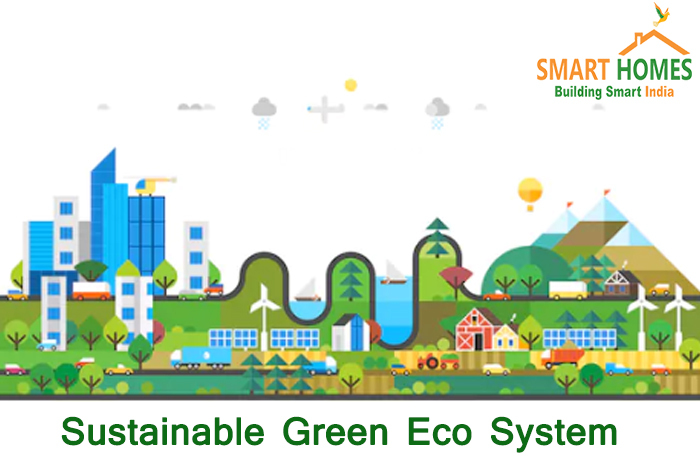 The sustainability matrix for Dholera Green City is being framed through various elements as the place is getting ready to generate clean energy, have ample green open spaces, use green materials for construction, create necessary infrastructure for e-transport and manage the land, water, waste and other resources through constant recycling and optimal usage. In the end, the ultimate aim of the authorities behind development of Dholera is not just to give its residents a city worthy of living in but also protect the environment, conserve natural resources, minimize toxic emissions, optimize resource utilization, find new and innovative green avenues for development and bestow its people with good health.